heavy duty sack truck fitted with pneumatic wheels. 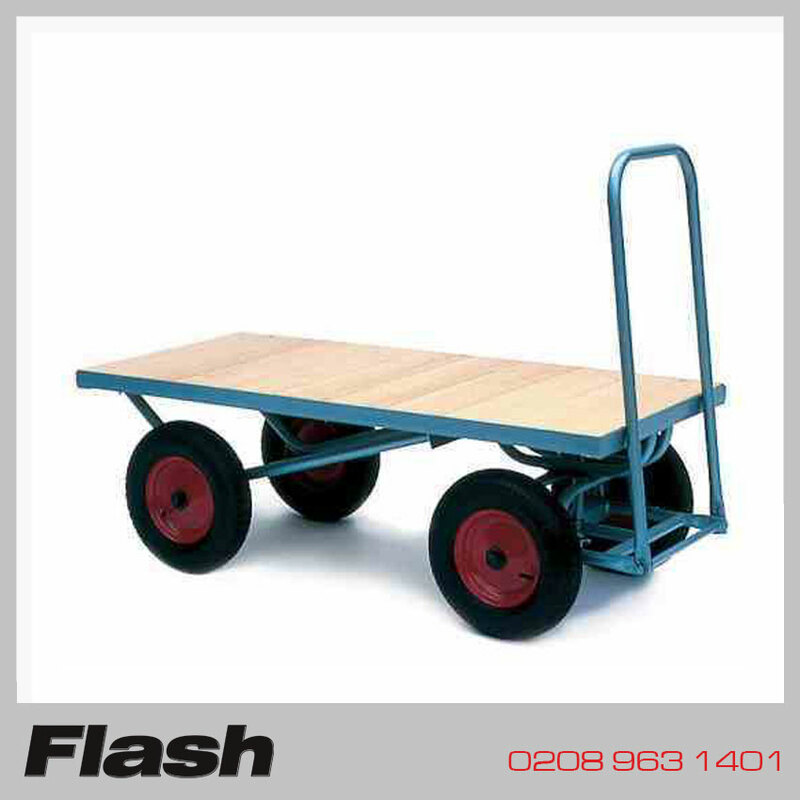 Heavy duty 4 wheel truck, with hardwood base, pram handle turntable steering with large diameter pneumatic tyres. Top quality hydraulic pump with a slow lowering hand control,3 position lever providing fingertip control.